(Newser) – A man suspected of fatally shooting four people at his neighbor's home in Kansas before killing another man about 170 miles away in a rural Missouri house was taken into custody early Wednesday morning after an extensive manhunt, the Missouri State Highway Patrol says. 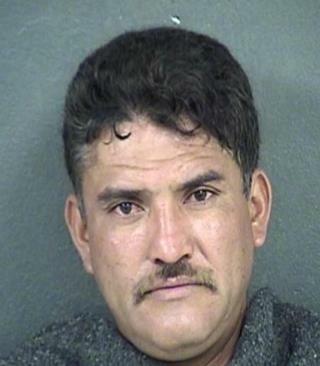 The Highway Patrol tells the Kansas City Star that Pablo Antonio Serrano-Vitorino, 36, was arrested in Montgomery County, Mo. The suspect was found lying on a hill just north of Interstate 70 and no shots were fired. "He looked exhausted," a police spokesman says. During the manhunt, several schools in the area were placed on lockdown, with officers stationed at the buildings, the AP reports. The White people he murdered probably told Pablo to turn down his car stereo, stop littering or some other White Supremacist insult. HEAVY.com reported that he was arrested for assault in a domestic dispute in 2005.